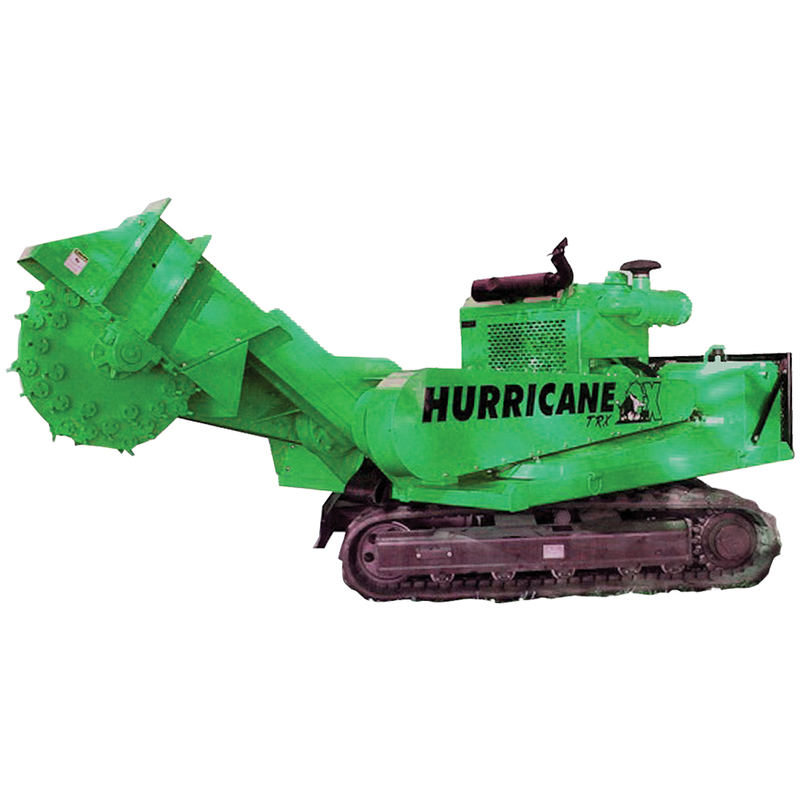 The Hurricane TRX is supplied with a 250hp (186kW) turbo charged John Deere diesel, wireless remote control and track drive. The 360 degree rotation allows massive 5.8m (19`) cutting width and cuts an amazing 1.8m (72") and 600mm (25") deep. It also features a mini dozer blade for quick clean up. This unit is ideal for property developers and contractors.